The JIVE F (front-wheel drive) offers a little extra muscle when climbing those kerbs or tackling off-road terrain. 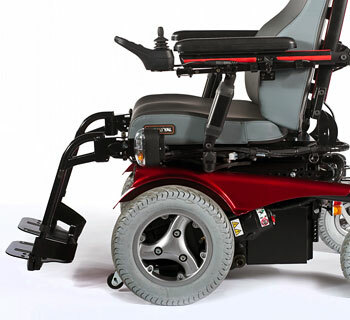 With a maximum speed of 10kph, range of up to 40km (delivered by 4-pole high torque motors) and 9cm ground clearance, outstanding outdoor performance is combined with indoor manoeuvrability when paired with the JIVE Fs lean turning circle of 700mm. 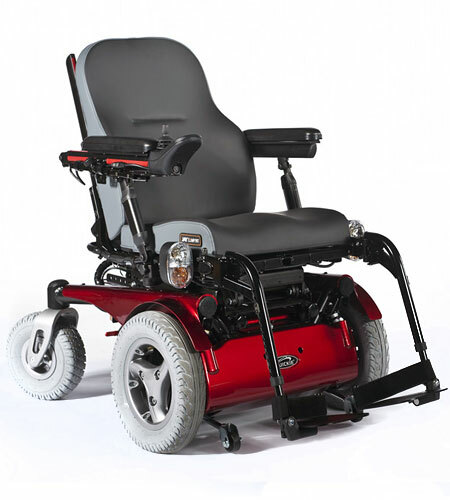 You can also change the seating system, power modules or even drive base when your needs change with its modular concept. 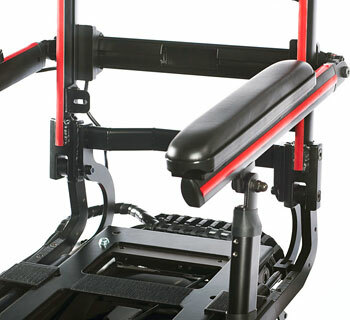 The JIVE's seat frame provides simple (and seamless), non-incremental adjustments of the armrest and seat width/depth. It will also accommodate a variety of seating systems that you may need, from the JAY clinical range of cushions and backs, Recaro Seating to even custom seating systems - the back attachments are designed for easy adaptation to your needs. Price from £5,850.00, we have a wide range of options available. Please call our customer services team on 01642 805050 for further information.